This piece is a classic example of the production of the Jun kilns in Juntai, Yu county, Henan province. 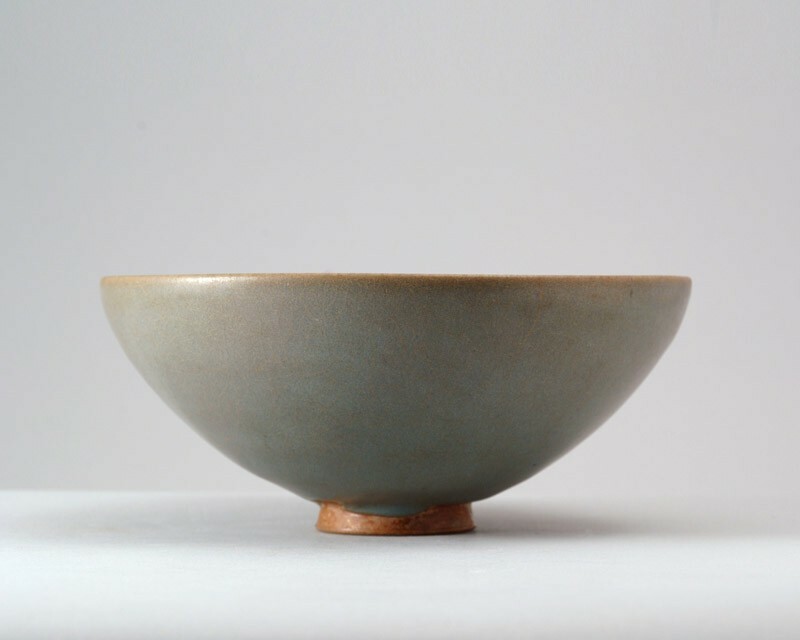 The splendidly potted bowl has rounded sides, slightly curved inward towards the wide rim and resting on a neatly cut, small splayed foot. The piece is glazed in an opaque light blue, turning a translucent mushroom colour at the rim, and leaving the foot free, where the glaze ends in an uneven line. The base is covered with a patch of glaze, the biscuit has fired a yellowish brown. The glaze shows overall crazing and is slightly discoloured through burial.